Do I see a TV commercial coming? 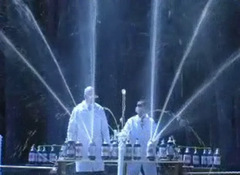 Could you imagine powering some kind of engine with diet coke and mentos? By far the coolest thing I've seen in a LONG time! And so easy!!!! Family picnics will never be the same! i give my homa page evry one link thansk. cool.but i dont like those. I will loving interesting tippi modes in large collection windy under going school and master manager. Good luck..
Hi monster woman goood way is life im not hughe monday guuling way soo.